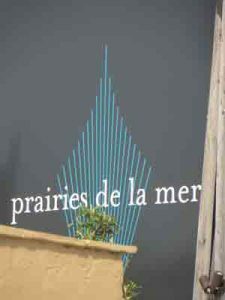 Les Prairies de la Mer is a large resort with 1200 places – a village in its own right ! 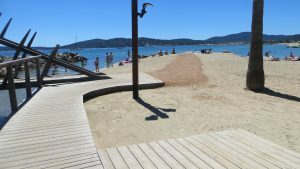 The holiday camp is situated right on the seafront, in the Gulf of St. Tropez. The nine accessible mobile homes are installed in a quiet calm area. The site is flat and the paths are almost all surfaced with tarmac. On the site there are two supermarkets for your daily shopping and there is also a newspaper shop. You can spend some very pleasant moments in the cafés and restaurants situated on the seafront. Just a very nice “village”! 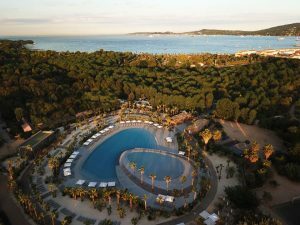 Since 2018 there is a – wheelchair accessible, magnificent swimming pool! The sandy beach is a three minutes’ walk from the mobile homes. There are areas where the sand is firm and access is therefore relatively easy. Thanks to the absence of tides, the sea is close at hand. Our specially adapted wheelchairs allow you to get into the sea. 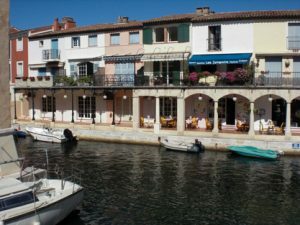 The village of Port Grimaud, which is situated just by the side of the campsite, was constructed in the sixties by François Spoerry. At this time it was marshland but the magic of François Spoerry transformed it into a real “little Venice” made up of navigable cannels spanned by little bridges. Vehicles are not allowed and from the terraces of the bars and restaurants you can hear the birds singing in the plane trees. 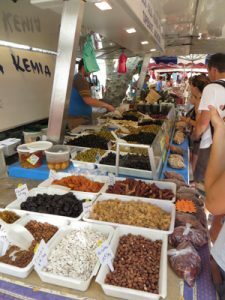 The colourful, scented Provencal market takes place two times a week.